Thrilling adventure stories introducing young readers (ages 8-2) to Christian heroes of the past.Neil Thompson had promised his grandmother that he would wait for his grandfather to bring him to see the great oceangoing ships at the docks in Liverpool, England. But when he convinced himself that it was okay to go alone, he did not know the danger he would face on that bright morning in September 853. The docks were no place for a twelve-year-old boy who was alone.Stopping to admire a small clipper ship, the Dumfries, Neil is suddenly grabbed and dragged aboard the ship, then locked in a small, dark room until the ship is on its way to sea. 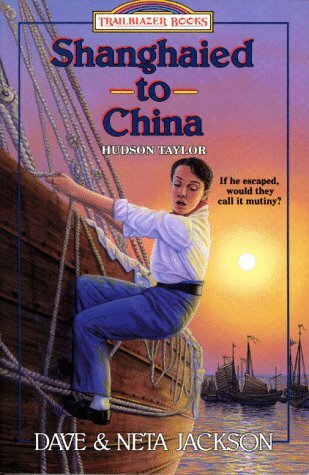 When he's finally let out, he discovers he's been shanghaied to be a cabin boy on a tea clipper bound for China and there's no chance for escape!Fortunately for Neil, on board ship is a young missionary named Hudson Taylor who is also bound for China. But will Taylor's friendship and faith be able to overcome all the bad things that fall upon Neil's life?Will Neil ever make it home? Why should Hudson Taylor help?